The Cloudseed International Fund, LLC is a private entity utilizing the USCIS EB-5 Program to create jobs and promote foreign investment in Central Ohio. Sumeet A. Patil brings a high level of expertise in financial and real estate dealings from over a decade and a half in Real Estate. Prior to founding Cloudseed, Mr. Patil was a Senior Mortgage Banker for JP Morgan Chase where he served clients across nationally in over $250 million dollars of mortgage finance transactions. Through this corporate banking experience, he developed a deep understanding of evaluating and underwriting real estate transactions. Throughout the EB-5 process, he implements the importance of using an increased focus on compliance and the reduction of financial risk-exposure. Mr. Patil works closely with attorneys, financial consultants, and project executives to ensure Cloudseed’s investor and immigration goals are not only met, but are simple and transparent. Mr. Patil earned his Masters of Business Administration from Capital University. 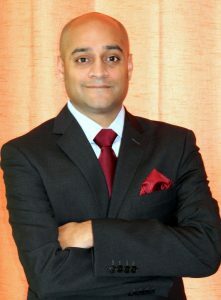 Sumeet enjoys spending time with his family, is an avid golfer, and an active member of the local investment community with holdings in various real estate and business ventures. Bradley B. Wrightsel joined Cloudseed to assist in identifying credible and viable projects that meet EB-5 requirements using his legal expertise. Mr. Wrightsel is a practicing attorney licensed in the State of Ohio with over 20 years experience in working with real estate developers. He has formed several legal entities for the purpose of developing, owning, and managing real property. Mr. Wrightsel is the Immediate Past President of the Columbus Bar Association, an association with over 5,000 total members. 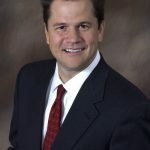 He is also certified as a specialist in the area of Estate Planning, Trust and Probate Law. Mr. Wrightsel earned his undergraduate degree from Denison University and received his law degree from Ohio Northern University. Brad is a bright and engaging legal professional whom looks forward to bringing his passion and experience to the Cloudseed team. 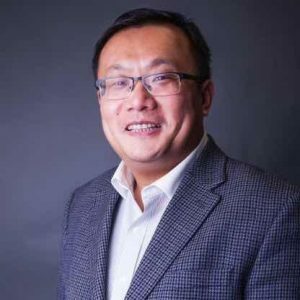 Mr. James Liu is Coudseed’s Director of Operations for China. Mr. Liu comes to Cloudseed from Xinda E-Commerce (China) where he was the President and CEO. Currently Mr. Liu serves as President of Pacific Asia for JPAC Trading LLC out of Columbus, Ohio and is the co-founder of ALPPS LTD that focuses on effectively recruiting international students to U.S. universities. He is also an active board member of The Council of International Program USA and the Hexico International Exchange Group. Recently through his extensive travels throughout China, James has planned and arranged multiple Chinese delegations to the United States. Mr. Liu and his family immigrated to the United States in 2001 and has personally navigated many different Visa status from F2, F1, H1B, and finally US Permanent residency. His first-hand experiences and success stories are valuable resources for our new and existing EB-5 investors. Mr. Liu received his Master of Business Administration (MBA) from the Fisher College of Business at The Ohio State University. James looks forward to bringing his international business expertise and knowledge to the Cloudseed team. THIS IS NOT AN OFFER TO SELL SECURITIES OR THE SOLICITATION OF AN OFFER TO PURCHASE SECURITIES. ANY OFFER TO PARTICIPATE IN ANY SPONSORED PROJECT MAY ONLY BE MADE PURSUANT TO A WRITTEN OFFERING MEMORANDUM. ANY SALE IN A SPONSORED PROJECT SHALL BE EVIDENCED BY A SUBSCRIPTION AGREEMENT EXECUTED BY A FOREIGN NATIONAL AND WILL BE OFFERED AND SOLD, TO THE EXTENT APPLICABLE, BOTH WITHIN AND OUTSIDE OF THE UNITED STATES IN RELIANCE ON EXEMPTIONS FROM REGISTRATION UNDER THE SECURITIES ACT, STATE LAWS AND THE LAWS OF JURISDICTIONS WHERE THE OFFERING WILL BE MADE.Y SALE IN A SPONSORED PROJECT SHALL BE EVIDENCED BY A SUBSCRIPTION AGREEMENT EXECUTED BY A FOREIGN NATIONAL AND WILL BE OFFERED AND SOLD, TO THE EXTENT APPLICABLE, BOTH WITHIN AND OUTSIDE OF THE UNITED STATES IN RELIANCE ON EXEMPTIONS FROM REGISTRATION UNDER THE SECURITIES ACT, STATE LAWS AND THE LAWS OF JURISDICTIONS WHERE THE OFFERING WILL BE MADE.